Where is the solution for the challenges of productivity in the Finnish manufacturing industry? There is a shortage of skilled workforce and many of the players in the sector face problems with growth: Domestic subcontractors are unable to meet the individual needs and quality requirements of the clients in the required timeframe. Are the solutions to be found in new automation, intelligent updates to automation solutions, or development of manual work? 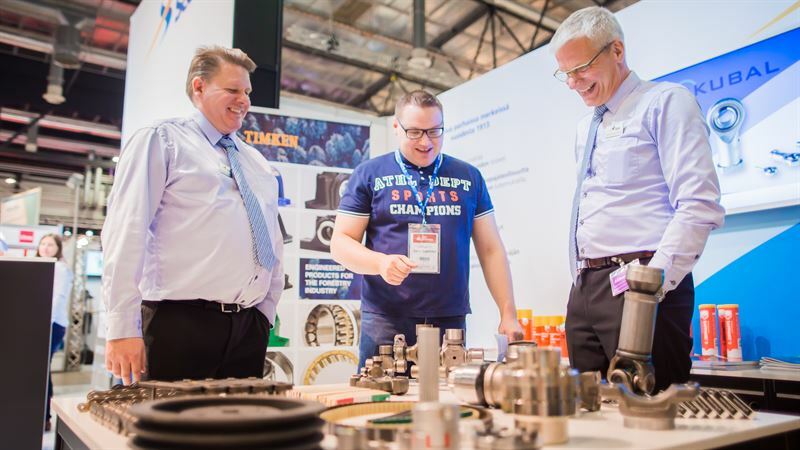 The entire Finnish industry will meet not only to discuss these topics but also to see the innovations presented by more than 1,000 exhibitors at the Subcontracting Fair from 25–27 September 2018 in Tampere, Finland. The theme of the 2018 Subcontracting Fair is productivity and the event is partnered by the world's leading supplier of welding automation solutions, Pemamek Ltd. The Fair will feature more than 200 new companies compared to 2017 and AlihankintaHEAT start-ups will present technology solutions for the future needs of the industry. The networking event for start-ups and industrial companies, held for the third time, wants to challenge the traditional thinking and practices of industry. ”The number of working-age Finns started to decline in 2010. The lack of skilled workforce already slows down many companies. How will companies survive and thrive if capacity must be continually increased and productivity and quality improved?” asks Kari Sinkkonen, Production Director of Kaptas Oy. ”Development of automation is one way. This opinion is shared by the Finnish government, which considers intelligent robotics and automation to be key factors of Finland’s future. Automation is seen as a real opportunity in all areas, but especially so in industry, and in information and service sectors even in small and medium-sized businesses. When western production was relocated to countries with cheaper labour, it was for the misguided idea of optimising the location. Companies looked at labour costs but forgot about the quality. Labour costs may have gone down, but the total costs went up. It may even have been the case that Finns did not appreciate their own skills and knowledge. If we hope to succeed against global competition and meet customer needs, we need to develop production. Productivity and quality go hand in hand.” adds Sinkkonen. Alihankinta has been presenting the entire Finnish industry and its leading companies annually since 1988. The event will celebrate its 30th anniversary this year. The main partners of the Tampere Trade Fairs are the Federation of Finnish Technology Industries, the Rubber Manufacturers’ Association of Finland, the Finnish Plastics Industries Federation and the Finnish Association of Purchasing and Logistics LOGY.